Like many travellers, you may well have found yourself leaving the country with more than you came with – it may be that you’ve bought a piece of art or an antique or other holiday purchases that mean you are over your baggage limit with the airline with whom you are flying home. 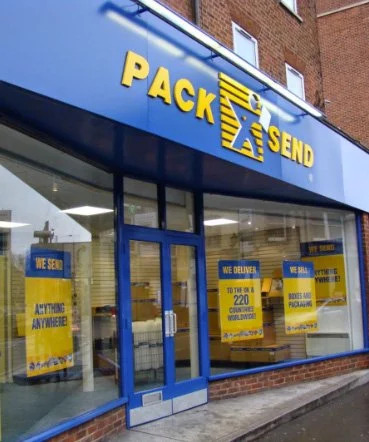 At PACK & SEND we have a range of services that are designed to help you get those holiday purchase home that you are not able to or are too expensive to take back with you on your flight. Our broad range of international delivery services and professional export packing means that no matter what items you wish to have delivered back home we can arrange a cost effective and safe solution for you. PACK & SEND offers a range of sea freight and air cargo services for sending personal effects overseas. We offer both ‘Door-to-Door’ and ‘Door-to-Depot’ services. The PACK & SEND price for ‘Door-to-Door’ covers the total delivery and clearing service (excluding government charges and taxes). The Door-to-Depot price is for delivery to the depot only. A Door-to-Depot service does not necessarily mean a cheaper service than the total Door-to-Door service. In many cases (depending on the destination and consignment size) a Door-to-Door service can be far more economical as well as being very convenient. With the Door-to-Depot service there may be further ancillary charges to pay at the destination and this may include airport terminal fees, storage fees, and documentation fees. At most destinations, you can clear your goods by yourself to avoid customs clearance charges, but it requires time to visit the Customs office with your passport, shipping documents and complete the necessary Customs forms. With our growing network of retail service centres across the UK, PACK & SEND are able to collect your items from your hotel, cruise ship or accommodation and at time that suits you, package them securely for international shipment and then deliver them to over 80,000 locations around the world on any one of a number of our international shipping and delivery services. For most holiday purchases international air shipping is the ideal solution and should you be continuing your travels prior to retraining home we can arrange to store your items and ship them so that they arrive at home when you do. When sending personal effects by air, PACK & SEND offers a reliable and very economical air cargo service. By using the PACK & SEND air cargo service, you not only receive personalised ‘white glove’ service levels, but you can also be assured of greater peace of mind when it comes to the security of your baggage. In today’s world, being comfortable that your baggage is not tampered with in transit, is a very important consideration when selecting a baggage service provider. Shipping excess baggage by international sea freight can be a more economical option when the size of your shipment is large or when delivery times are not so important to you. PACK & SEND have a number of different international sea freight services for the international shipping and delivery of excess baggage and personal effects and are sure to be able to put together a solution that works for you.